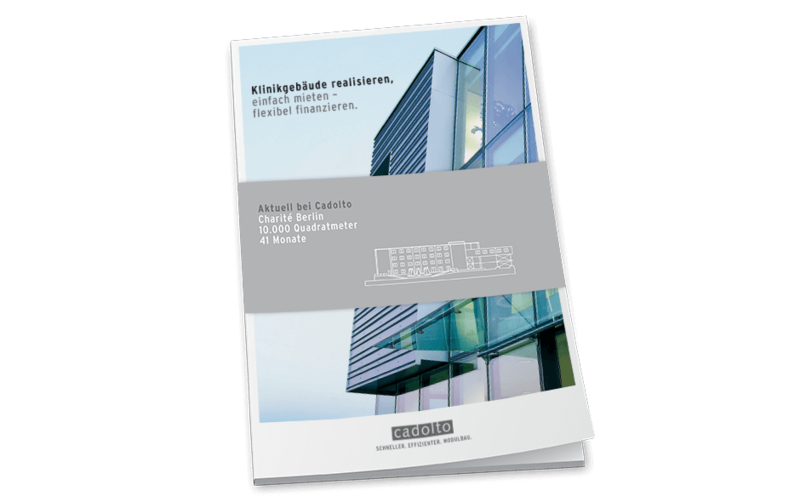 Square, practical, good – these are all words you could use to describe Cadolto, the specialist in ready-to-use modular construction. The uncluttered architecture is also reflected in the corporate design developed by psbrands. 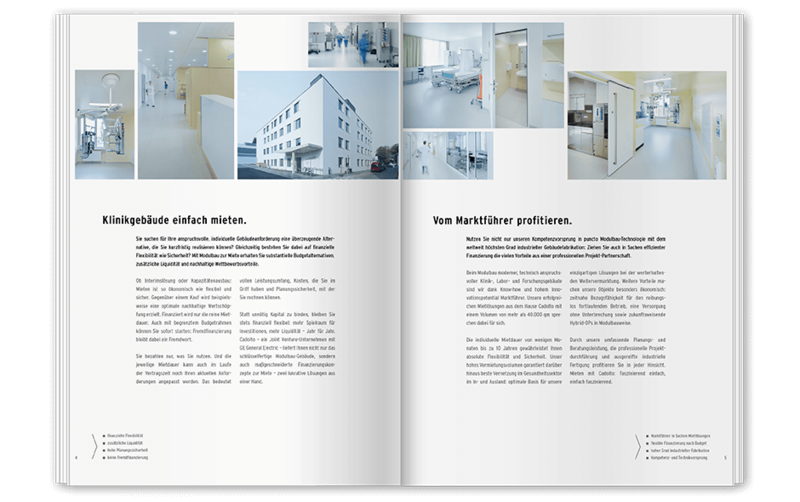 The starting point for this was a trade fair appearance and a communication concept for hospitals and laboratories looking for a quick, efficient space solution. Our goal: maximum organisation and clarity in communication. All actions build upon each other: a didactic step-by-step concept for providing information including trade fair brochures and interactive 3D animation. 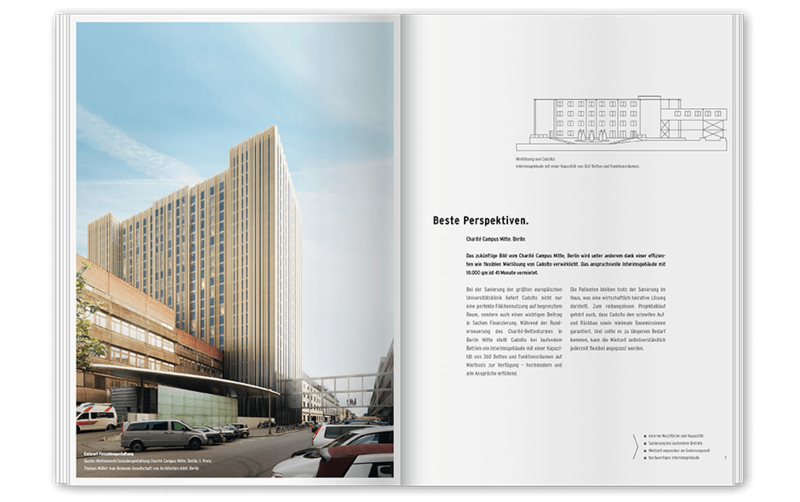 Concept brochures that live up to the motivations of the various target groups and sectors. Building on a user-oriented approach that offers convincing innovative solutions for anyone interested in modular construction.